It's been on Fujifilm's X-series roadmap for a while, but now it's real - the XF 16-55mm F2.8 R LM WR is a 24-83mm equivalent, weather-sealed standard zoom for Fujifilm's high-end X-series interchangeable lens cameras, which offers a fast maximum aperture of F2.8 throughout its zoom range. As International CES gets started in Las Vegas, we grabbed a few minutes with the new zoom. Click through this slideshow for some images. Nice, possibly well-made. Are its electrical circuits using proper tin/lead solder, or will it stop working like all the others do? Come on it is 2015 and I think it is about time that photographers equipment became again as long-lived and reliable as it was before the EU and others decided to RoHS everything we spend money on, forcing us to repurchase over and over again. My kids are in their teens now, but in their lifetime they will have to replace their DSLRs and lenses 7 or 8 times unless something is done, killing the planet and exhausting natural resources in the process, not to mention the west becoming utterly dependent on those of China and Taiwan and Japan in the most unhealthy way. The will die in 10 years that's for sure, otherwise where will those company get money from? It's consume consume consume era! Completely irrelevant EU bashing added to a lens hands-on. Btw with things like much extended consumer laws in many EU countries consumers are much better protected against manufacturers than in other regions. But that's really not the topic here. How does it help you Mike? If you don't need it, you could have always turned it off .. This Fuji lens has no OIS, as well all Fuji body has NO IBIS. So this weighs more & is a lot more expensive than my Nikon 24-85 VR which can sit on an already small & light Nikon d750 which also has the benefit of full frame & mind blowing AF & incredible flash system.I don't get all the Fuji love in.Can someone enlighten me? This lens is a stop faster? The X-T1 is smaller? Some people like EVF's? This lens is weather sealed? They're products. You buy the one that suits your needs, which aren't necessarily the needs of others. Please don't try to tell me the 24-85 nikon lens has "mind blowing" IQ, I've used one and it doesn't..
Big and heavy, as will the new 90mm prime be. And I thought mirrorless is about size and weight advantage. Nobody said 'mind blowing IQ'. The laws of optics still apply and with a sensor, it's best to have the light close to straight when it hits the sensor plane--film not so much. There are slower lighter lenses. 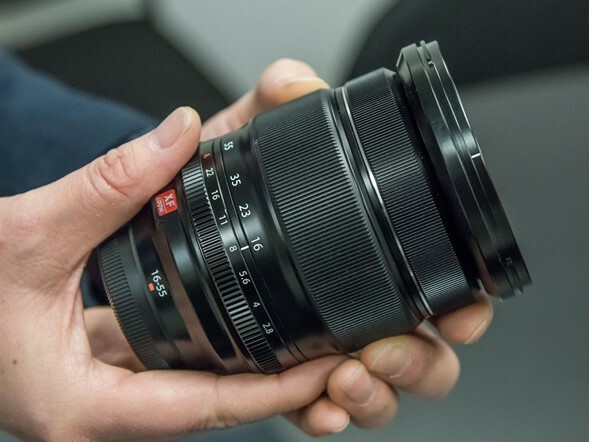 Have your tried out the new Otus 85mm? That's much bigger than the old Zeiss 85mm. X-T1 + 27F2.8 0,5 kg !! With the X-T1 you have far more options to get lower weight! Why do those deluded people still comparing FF 2.8 zooms to APS or MFT 2.8 zooms? They are NOT equivalent. But plenty of other things be so. You may be right that a D610 with a 24-85 is more versatile and may get better shots at some apertures and focal lengths, but what makes the Fuji more desirable than a nikon is that it just looks WAY cooler Plus, that 24-85 is a variable aperture zoom, while this one is the same f-stop througout the zoom range. But mainly it's that the Fuji is so beautiful. It looks like something David Bailey would use to shoot Jean Shrimpton or that Eddie Adams would take with him to Vietnam. Nerd2, because for most people, more dof with fast apertures is welcome with a zoom lens. "which offers a fast maximum aperture of F2.8 throughout its zoom range"
Applying the crop factor, is this new lens really an equivalent f2.8 "throughout its zoom range" or is it really equivalent to 24-83mm f4.2 ? 2.8 is 2.8 as far as light gathering capability goes. you know what they wanted to say. yes, it's f2.8 in terms of light gathering capabilities and yes, it's equivalent to f4.2 in terms of depth of field in the FF (35mm) world. and finally, yes, it has the same max aperture throughout its range, even without quotes. any other FAQ? Oh boy, here we go again... No, in terms of light gathering capabilities it is not equivalent to f2.8 35mm format. Aperture size defines illuminance, not luminosity. Because 35mm camera system uses bigger sensor it will gather more light in total than APS-C camera for the same aperture size. Well, actually it depends on how you look at it. No a 1.5x sensor doesn't gather the same amount of light as a full frame sensor at any given aperture due to the size but at f2.8 this lens will give the same exposure as a 2.8 lens on a full frame camera which is all that matters really. For that sensor it's still f2.8. F stop numbers are rations to the size of the piece of film. It will be same exposure, but picture will not have same SNR. Because 35mm sensors have bigger area, they gather more light. That is why usually the bigger sensor the better it handles noise. @HowaboutRAW: Sure, for APS-C it is f2.8 16-55mm. But you cannot compare it with f2.8 24-83mm on 35mm in terms of light gathering and DOF. And F stop have nothing to do with the sensor size. F stop represents aperture size relative to focal length. Billons of years ago, when I shot with 35mm and medium format, when I would take a light reading, I would put that into my lens, 35mm or 6x6,6x7. The ratio of film size to apture as to do with lens size. F2.8 is is F2.8. In land of 4x5 cameras or point and shots. DOF inherent to the foremat via lens focal length. An 8mm FL will always have more DOF then say a 300mm lens....no matter the sensor or fikm size. Even if 8mm is normal. Light gathering can be relative to the sensor/film area. More light gets gathered by the 35mm lens of the same f number, but there's more sensor area to cover--thereby as general rule making bigger sensors shot with the relative f-stops better for low light work. Okay, I looked up that f-stop ratio thing, and indeed it's focal length to exit pupal, and that last has a huge amount to do with how much light hits the sensor. Faster lenses have bigger exit pupils so more light hits the film. Thanks Silvarum for reminding us F stop is A to focal, many get confuse on this and sometimes completely denies this relation. Specially if they try to compare to FF equiv. But if it really matters what's the total light entering into the camera to illuminate the sensor? When the light intensity on a given area will be same that define its impact on Exposure. Now if you try to put another factor i.e. SNR or higher ISO performance, then sure bigger sensors have better SNR, but should you count it to define Aperture? that is counting same advantage multiple time towards bigger sensor format. Leave aperture as aperture. Otherwise Everyone will start counting advantage of their favorite system format and put it on Aperture definition. * They will have same light intensity on sensor surface. So will calculate the same exposure in given time. * But since the focal length is different (bigger in FF than 1"), the divider will have higher impact on smaller sensor, making the lens opening smaller on small formats. * The image circles will be smaller as a result on 1"
* Bigger format lens will need bigger glass to cover the image circle big enough for the bigger sensor. 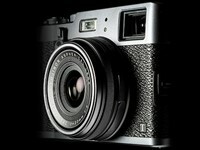 So the lens will be heavier, more difficult to design, correct and expensive to produce. * Bigger Sensors will have better SNR / High ISO performance (but that's all electronics, nothing to do with optics). * Bigger sensor will produce more heat inside the camera body, so will be more difficult to design for applications, where high readout is required, like video, higher burst rate, electronic shutter etc. * And less significant factor (subjective) is the Dof will be shallower on FF which can be advantage or disadvantage depending on your applications. Portraits (maybe) advantage, in Landscape (arguably) disadvantage (longer exposure). * Diffraction and Hyperfocal distance comes at very smaller apperture values on FF (longer exposure). * Also to get better results for sharpness, CA, or vignetting you need to stop down much smaller than the the biggest aperture values. and the list may go on further!.. but the main point is ..
Apperture is just the divider to the lens focal length! So it will remain same. @Naveed wrote "Otherwise Everyone will start counting advantage of their favorite system format and put it on Aperture definition." That's what trolls do, spread misinformation. Ignore them. FF has (at least) 1.5 stop ISO advantage and 1.5 stop DOF advantage over APS-C, so they are (almost) equivalent. Assuming the pixel density decreases as the sensor size increases. Naveed, that is exactly what I meant. Original question was about light gathering capabilities. And 35mm equivalent lens will gather more light than APS-C lens at the same F stop, because it will have bigger opening area. Total light matters, but only if you take in account sensor area. Bigger sensors do not have less noise or better SNR, they just gather more signal (light). Usually SNR on bigger sensors even worse than APS-C or Micro Four Thirds, because newer technology comes faster for small more popular sensors. In the end, if you take exactly same picture (DOF and AOF), bigger sensor will not give you any advantage. It is just bit more flexible. Personally, I'm very happy with cost/performance of APS-C and Micro Four Thirds. f2.8 is f2.8 no matter what sensor size is. f-stop equivalence is applicable only and ONLY for determining DOF similarity across different sensor sizes. Silvarum, you are doing the same thing again mate, relating indirect attributes, directly. SnR is "Signal to Noise Ratio", Signals are digital signals captured and transmitted by Sensor. That's why ISO is set on camera bodies and Aperture on lenses. Other things you quoted, newer technologies comes faster on small sensors (agreed) but the time difference is not quick enough (never been) that small sensors overtake bigger one at the same time frame. Yes New Nikon D7100 (Dxo Low light ISO 1256) can easily beat the first Canon Fullframe 1Ds (ISO score 954), but no smaller format camera could beat the first Nikon FullFrame D3 (ISO Score 2290) launched in 2007. And the latest Sony A7s with mere 12MP resol got 3702 low light ISO score. a simple fact "Fullframe usually have bigger pixel pitch, and a larger pixel area is capable of capturing more photon hits than a smaller pixel in any given timeframe". Another way to express it is the fact that if you take a photo on lowest ISO setting on a full-frame sensor Sony A7s and on an APSC sensor A6000 at the same ISO 100. You will get much less noise on A7s picture, no matter what aperture of the lens, or what lens altogether, you will be using. So digital noise is related to Sensor size and technology, nothing to do with Aperture or the lens, or size of the lens. Or light transmission capability of the lens. And then you mentioned about the Original question was about light gathering capabilities. Yes but as I tried to explain earlier, it doesnt matter how much total light you are gathering, it's the light intensity that counts when falling on the sensor, and when sizes are different. Take an example, take a Nikon 50mm f/1.8 lens put it on fullframe camera D750 expose it with wide open apperture f/1.8 and note the exposure time. Now use the same Fullframe lens on a APSC body .. Nikon D5200 .. use the same wide open aperture .. in the same available light. Do you see any different time of exposure? I guess you already know the fact, that you won't. So the matter of the fact is, it doesn't matter how much light is getting into the body, if its not falling on the sensor, its not giving any help in low light situation. So f/2.8 lens is finally again f/2.8 across the systems. Naveed, total light is all that matters in terms of noise. 1. For digital sensors ISO is just a number to represent lightness of image like if you'd took the picture with same ISO on film. Actual signal gain different for each sensor (even between same sized) and calibrated by manufacturer. ISO 100 of FF and APS-C is totally different signal gain. Because APS-C does not gather as much light as FF, it needs to amplify the signal more to achieve ISO 100 like behavior, which means that it will amplify noise too. If you set ISO in way, that signal gain will be the same, then, surprise, you will get more or less same amount of noise. 2. If you put lens with FF coverage on APS-C camera, then APS-C camera will not gather all light produced by that lens. But if you use device like Metabones SpeedBooster, then it will concentrate all light on APS-C area and you will get different exposure time. There's also more grain per square cm as film size goes down and ISO stays the same. Anyhow, it's helpful to remember to think about pixel density/pitch. You have 35mm f2.8 for APS-C and 50mm f2.8 for FF. You shoot both at f2.8, ISO 100, same shutter speed lets say 1/50. You will get same exposure and similar angle of view (not DOF though). Total amount captured of light is proportional to area of the aperture. For APS-C it will be 122mm², for FF - 250mm². Therefore FF will get more light through that lens. Because it gets more light, it will have more signal to work with and to achieve ISO100-like behavior it does not need to amplify it during Analog-to-Digital conversion process as much. If you set FF camera to ISO 200 and lens for f4, then it will be exactly same exposure as APS-C with ISO 100 and f2.8 lens. You will have same DOF, angle of view and exposure. Exactly the same picture. This way aperture area for FF will be 122mm² (same as for APS-C) and because you set it to ISO 200, actual gain will be about the same as for APS-C.
ISO settings just map signal gain number to same standard. I think it is mapped so exposure of 0.1 lux*seconds will be converted to 18% grey (118 sRGB for 8-bit file, or L=50 for lab) for ISO 100. Grain per square cm will be the same. It will just look bigger, because you will magnify it more for smaller film for the final image. And amount of pixels have little impact on noise. You can always downsample to get less noise. Of course, because not all pixel area is used to capture light, you will loose some useful sensor area with higher amount of pixels. Yes Silvarum, I am well aware of ISO standards mate, light gain across diferent standards and amplification etc. That's why I mentioned it in that department, signal noise etc. I thought to mention metabone while giving you the above examples, but then didn't brought it into the discussion because it will confuse the matter even more. It's an additional accessory and is exactly here to tell the point that I made earlier (light intensity and a stop brighter performance). Now back to the original point, which you try not to address, is, apperture is related to lens and act as a focal length divider that tells how much light is open to reach the sensor. The one that's not reaching, doesn't count. we will talk about ISO another day, but I dont think your point is helping here much in your favor. APSC smaller sensor struggle more to reach the FF standard of sensitivity is all what I was saying earlier. P.s. in your 35mm on APSC and 50mm on FF sensor example. Keep the sensor sensitivity same, at f2.8 apperture both are getting the same exposure, if you keep the f stop same, is all am trying to express you here. If you increasing the ISO on FF to match the APSC noise level, this is another component we are talking here i.e. sensor. Yes on FF it will behave better. Downsampling to reduce noise is a nearly complete myth. Downsampling does NOT reduce the ratio of noise to clean signal. Downsampling can push noise around in aesthetically helpful ways. If that were easy, cameras would do it in camera. And printing beyond 300ppi can lessen perceived noise in a print, but that's separate. Silvarum, like in all these discussions, your points are only valid in theory, as for practical purposes equivalence is also a result of optical performance and sensor efficency. My point was, that they are getting same exposure, but not same amount of light and therefore it would affect noise levels in the end. We are not increasing ISO on FF to match noise on APS-C. We are increasing ISO to match same level of signal gain, so we can fairly compare both results. If you want fully equivalent picture (that is DOF, AOF and shutter speed) then you will get same amount of light regardless of camera format you use. 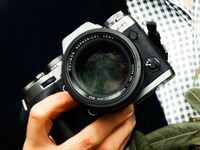 f2.8 does not equal f2.8 across different formats. Just like focal length will give you different angle of view, aperture size will give you different amount of light. @HowaboutRAW: It does not reduce noise, but isn't it the point to have aesthetically pleasing picture? Read noise tends to be about the same regardless of pixel size. High res cameras would produce more detail for NR algorithms to work with. But, you are right, low res sensors have less read noise. For video low res sensors definitely have advantage. "...and therefore it would affect noise levels in the end." I know, but in real-world application, sensor efficiency reduces this effect. My advice: Skip the theory and pick the system that gives you best package of features and IQ that is suitable for YOUR type of photography. Sensor size nowadays has lost a lot of its importance in this respect. And still the useless discussions in forums will continue forever. Michael_13, I disagree. It does help with buying decisions as it shows that bigger sensors will not necessarily be a better choice as they only offer you more flexibility on open end and slightly better low light performance. As for optical performance - yes, bigger sensors have less demand for lens quality. For sensor efficiency - smaller sensors usually have advantage here. For your last post - that is true. I am just saying, that whole cult about bigger sensors and full frame is irrelevant. Just look at the results of different systems that represent your type of photography and pick the system you like best. Nowadays, the difference in IQ is so little in most applications that for most people sensor size - and its theory ;-) - is irrelevant. No the point is to actually reduce noise. Sweeping dust under the couch doesn't count. The Prime feature in DXO 9,10 (and similarly PhotoNinja) has some promise for future in camera NR, but right now it takes on the order of 2 minutes per file to actually reduce noise in the file. And it doesn't involve down sampling. But learning is such a great thing! Theory can help to choose right system for those rare applications where sensor size can make difference. But why do you reduce noise? Reducing noise simply to reduce noise is not very rational thing to do. Let there be some noise if it looks good enough and not disturbing. But if I were shooting a D750 above ISO 6400, I'd be using some NR at raw extraction time. F2.8 lens, is still F2.8. If use Tri-X at ISO 400 or Iso 1200. F2.8 is still F2.8. Sure it is. 16-55mm is still 16-55mm also, not 24-83mm. Silvrarum .. once again mate .. totally irrelavant example ..
distinguish between the two scenario .. there's a huge difference ..
f/2.8 is f/2.8 in both (all) format but in terms of lens brightness the Dof will be shallower on FF. but in generally when we speak about aperture we exoress in terms of brightness as its agreed as an advantage. Dof may or may not be an advantage, depending upon your needs. you should have agreed to it by now mate :) but you prefer to bring your half cooked logic to defend your original point of view and now this one 16-55mm is 16-55mm is the funniest one. But it's like comparing engines for cars and trucks. 1hp of power is 1hp on both of them, but doubtful, that 600hp truck can go as fast as 600hp car. If you want equivalent shot or looking for equivalent lens on other camera format, then you need 3 things to be the same: DOF, angle-of-view and shutter speed. Aperture size defined by DOF and angle of view for specific format. Brightness of shot is irrelevant as it can be changed either afterwards in post processing or via ISO on camera, does not really matter. You say, by using same focal length, angle of view will be different, therefore you cannot treat same focal length lenses for different formats as the same. I say, by using same f-stop on different formats, DOF (and total amount of light) will be different, and therefore, you cannot treat same f-stop lenses for different formats as the same. It will be unfair. Either use same both focal length and f-stop (and then crop larger format) or none at all. again another strange analogy .. my car got 1.4 liter petrol engine tsi that does better speed and acceleration than other 2 liter standard petrol engines. when you comparing different aspects of a system, then chose the standards, and when you talking about the whole system .. then yes, obviously go generic and say fullframe system better noise performance, shallower dof etc. But when talking specific about fstop then agree on what's standard i.e. f/2.8 is 2.8 divider value to the focal length and it will give same brightness impact, so it's same, regardless of the system. and for 100th time, no, we are not measuring dof calculations here ... am really impressed!! Total Light = Exposure x Sensor Area. You cannot ignore sensor area if it is different. Same f-stop will produce different result on different formats. If total amount of light was irrelevant, then f/2 on my tiny mobile phone camera would have been same as f/2 on full frame. It is not. Full frame gets more light -> more signal -> less need for signal gain -> less noise and more DR.
Brightness however is irrelevant, as digital sensors have only one real sensitivity value and most cameras today use "isoless" ADC (except maybe for Canon), which means that noise produced by them will be the more or less the same regardless of ISO setting. You will get similar results by increasing exposure in post-processing. You can check it yourself by taking two pictures at for example f/4, 1/500, ISO100 and f/4, 1/500, ISO800, and then increase exposure in post by +3 for ISO100 shot. it will always be relative to the system ..
we are talking about f/2.8 = f/2.8 on different systems .. giving same exposure to YOUR SYSTEM!!! i hope you are not thinking about another analogy ..
Ok, why do you want to compare same exposure? ohh thanks lord .. finally we are talking about the same thing .. Exposure!! But you can easily have same brightness by changing ISO setting. And have two photos that are equally lit. Why bother with f-stop at all? Bec we are talking about raw impact of a system here .. not post processing .. post processing has its limits, headrooms. I know your example about Isoless exposures, they all have their limits. it's not completely Iso-less as such! Also mostly systems work best at thier base ISOs. But Iso are a different parameter .. to gain exposure ... we are exclusively discussing here about Apperture .. Exactly - to gain exposure! If as you say we assume DOF is not considered here, then why bother with f-stop at all? Just use higher ISO setting to gain exposure. Only you would use larger aperture rather than ISO to gain exposure because with larger aperture you will gain more light and have less noise, and that was my point. Original question was about light gathering capabilities, which is not exposure, because lenses for bigger format will gather more light at same f-stop. plus you are now changing your point .. your point was f2.8 is not f2.8. still am happy if you agree to that ..
Well, maybe we a bit off on semantics then. I understand light gathering capabilities as "how much light in total goes through this particular lens". Not how much it projects per unit area. I simply don't see how "per area unit" fits in "gathering" - you either gather it or not, doesn't matter how you will project it afterwards. In the first case, f2.8 is not f2.8 across different formats. In the second case, I agree, f2.8 is f2.8, but then you still have to consider different sensor (gathering) areas as separate argument. I see it that way - when you press shutter button, what your camera does - is simply collecting light. And in the end, all that matters is how much light you've collected. And that is defined by shutter speed and aperture diameter (focal-length divided by f-stop) and maybe sensor efficiency too. yes buddy .. the physical area for a large format lens will be larger for the same fnumber, because the focal length to give that angle of view will be larger too .. but the fnumber will be same. and all that matters is how much light your sensor has transmitted to the processor. but the question of the poor man was f/2.8 is f/2.8 or not!! the actual (physically measurable) focal length of the lens would be different though!! and even in terms of Dof ..
the actual focal length of the lens is all it matters. a 100mm lens will give same Dof across the different systems. it's just that they all have different crop factors so the angle of view will be different, so the impact will be different. or you can measure it in terms of actual (physical) aperture diameter (but then you shouldn't count the focal length factor, otherwise you will be multiplying the impact twice, a common mistake normally photographers do). but again it's a separate discussion .. will save it for another day!! Hm fried Flying Fish, with lemon sauce, delicious! I'm glad that this lens is protected from Flying Fish with its hood- I'm sure the warranty department is especially happy about this feature. Before the invent of the hood, I'm pretty sure photographers who photographed on or near the ocean carried a small bat to knock them away just before they made contact with the front element. Richard Butler's choice of Gear of the Year isn't a product launched this year (our choices of best products of the year were recognized in the DPReview.com Awards), instead it's the one that's prompted him to work on his photography. 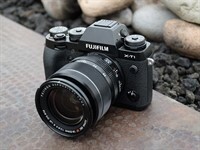 So what's so special about the Fujifilm 56mm F1.2 APD?